The Brick table clock by the Netherlands manufacturer Leff Amsterdam is a completely new invented, re-designed clap numbers clock in a retro-look. 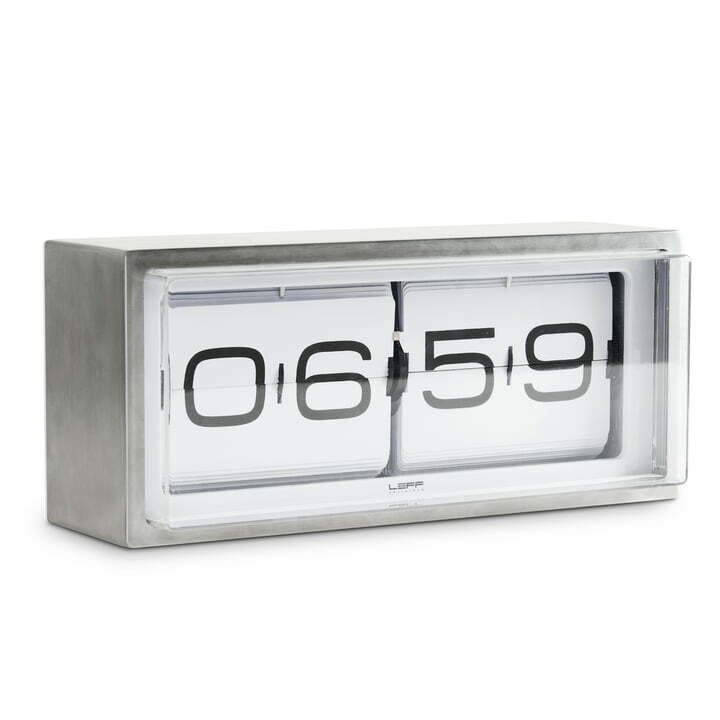 The designers’ clock available in two editions (12 hrs. & 24 hrs.) as well as in different colour-combinations, consists of an unique combination of high quality materials and precise technique. Not for nothing the manufacturer offers 5 years of guarantee for this clock.